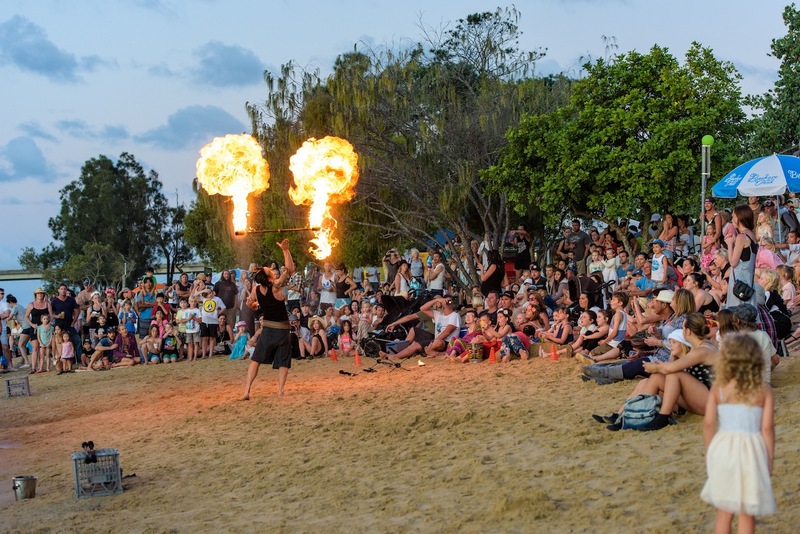 If you missed Buskers By The Creek 2015 in Currumbin, Gold Coast don’t stress Energy Entertainments will be back in 2016 as part of this amazing festival. Energy Entertainments provided 2 fire shows to close both nights of the festival. 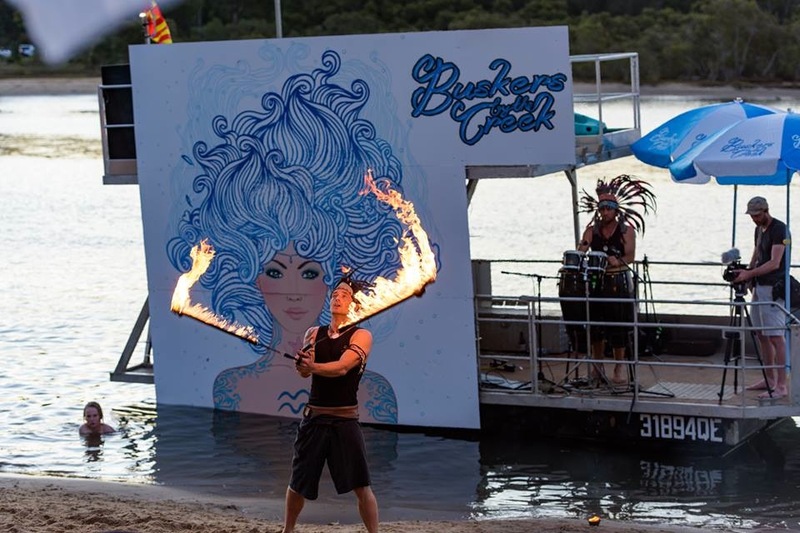 Buskers By The Creek organisers chose ‘Fire Beats’ a duo live percussion and fire show available throughout Australia to close both nights of the festival. Saturday night saw 500 festival visitors dancing to funky tunes and live percussion by Energy Entertainments very own Pete Tonks live on the drums. A disco fire show you just cant help but dance too. But if for some reason your not moving fire performer Neal Webb will give you the encouragement to get up and join in, if you not smiling by the end of the show, you need to dance more! 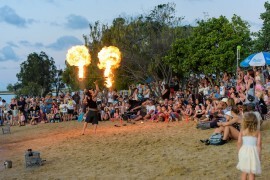 Sunday night Energy Entertainments provided a ‘Tribal Fire performance’ on the sandy shores of the creek. Pete Tonks performing live percussion on the Barge Stage floating on the creek while Neal was dancing with fire on the sand. 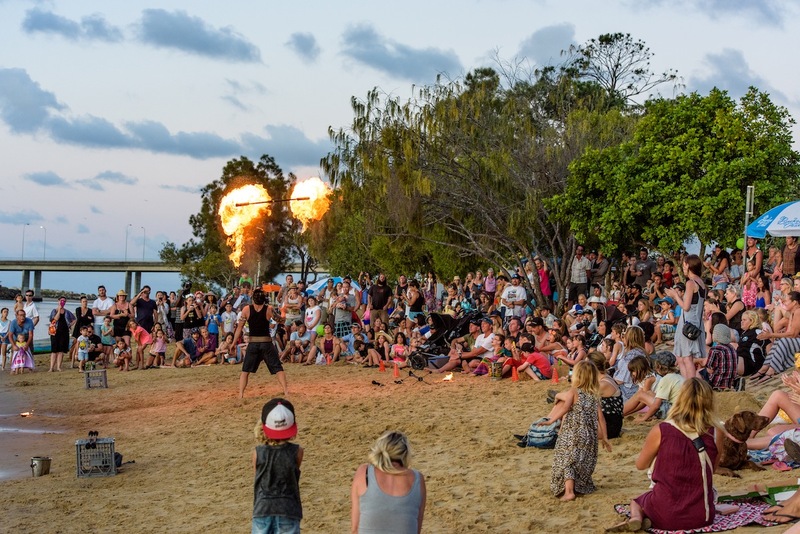 1000 people turned up to watch the flames dancing in front of the sunset and close what had been an incredible weekend festival of music, entertainment, food, stalls and so much more! 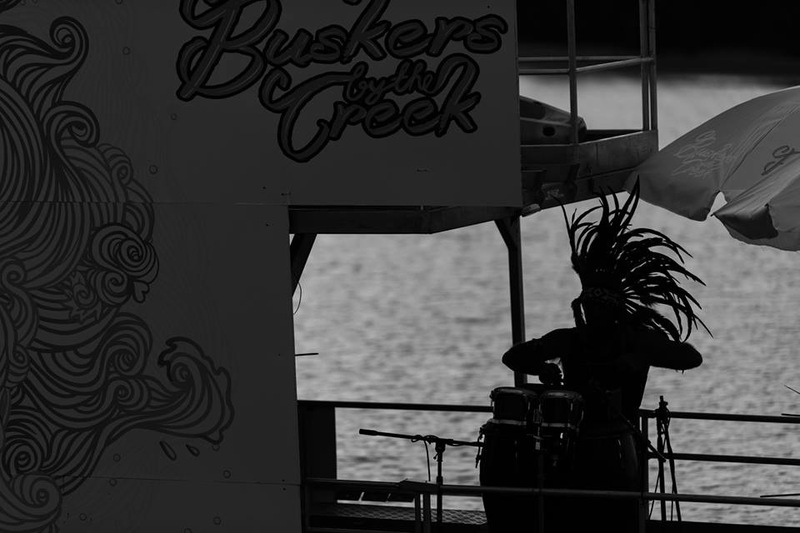 Some great photography by William Course at Buskers by the Creek. Check out his page, there are some great shots of the festival on there. Billeigh Photography or copy the link below. 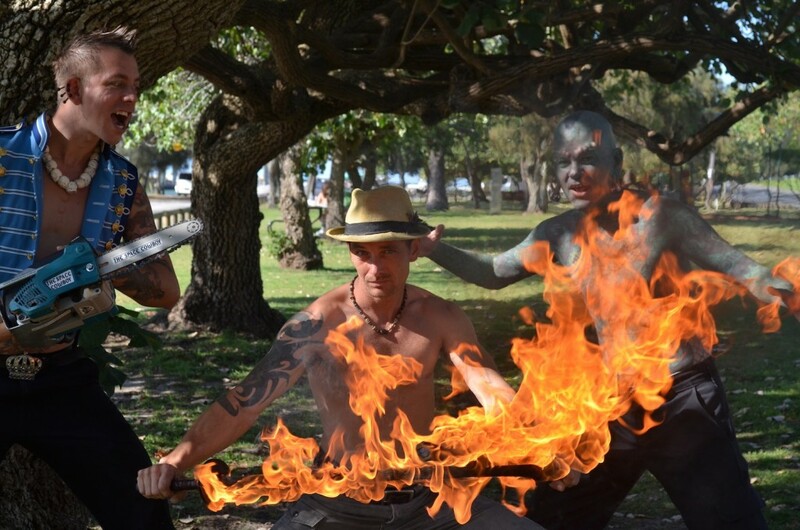 For more info about Buskers By The Creek visit The best Festival in Queensland and soon to be Australia.